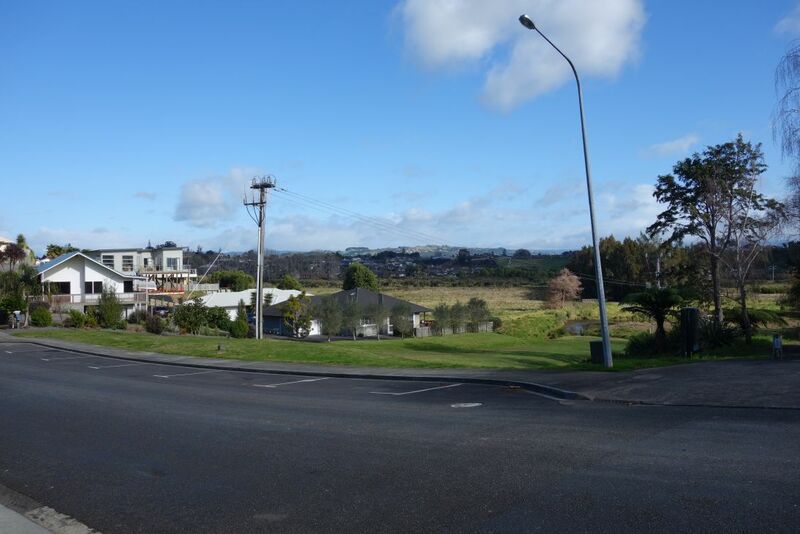 Gordon Carmichael Reserve is a 60-hectare reserve located between Bethlehem and Brookfield suburbs in Tauranga. 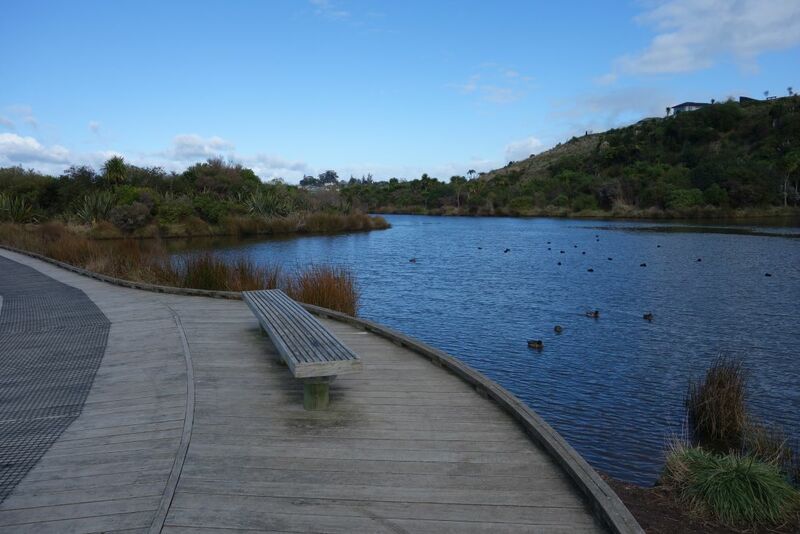 The reserve is used as a stormwater reserve, with ponds and wetlands, extensive areas of native plants, and several kilometres of cycleways and walkways, accessible from several streets in the area. 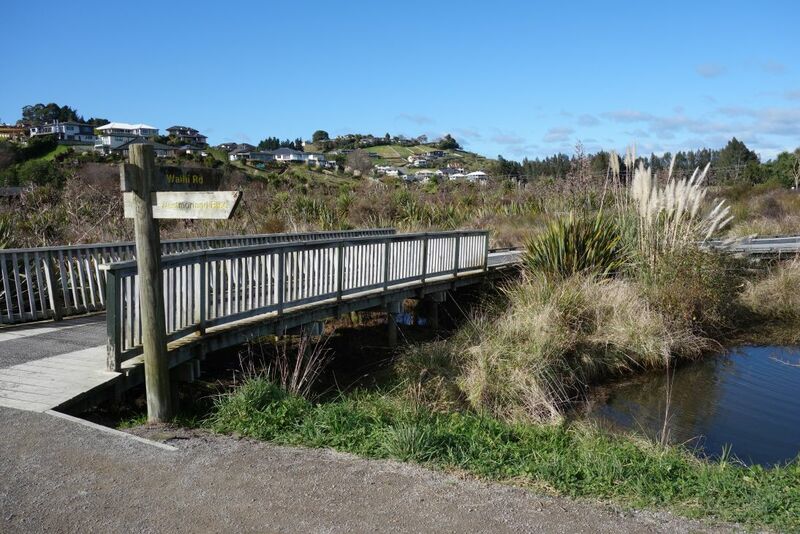 Over 200 metres of boardwalk have been constructed in the wetlands areas. 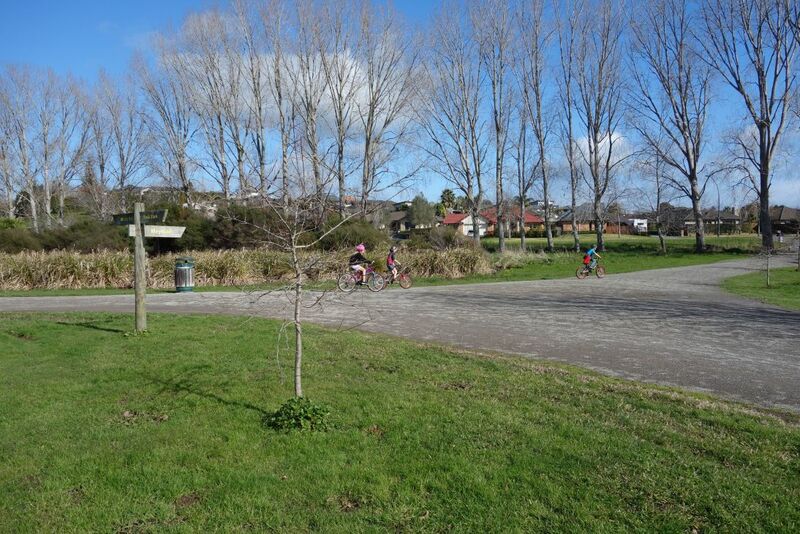 A small carpark is located on Carmichael Road, adjacent to toilets, a playground, and an outdoor classroom. Access to the carpark is closed at night. 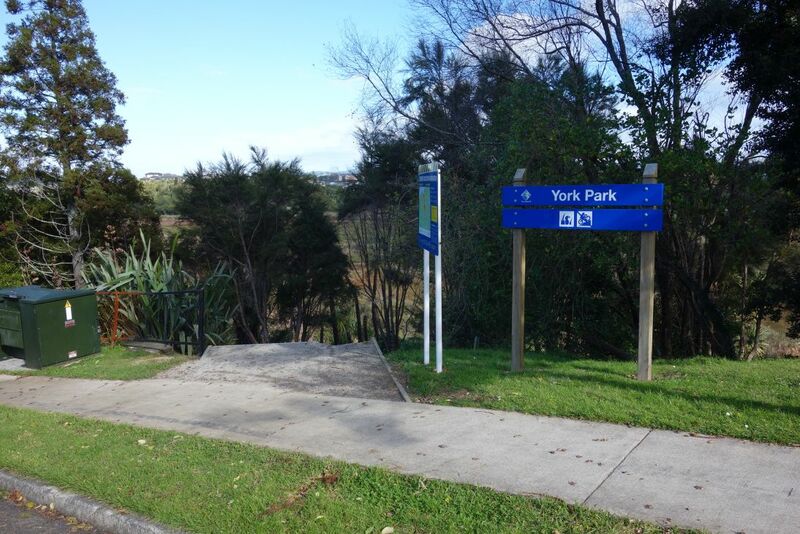 Access to the northern end of the reserve off Princess Road has a sign indicating that this is York Park, but there is no indication of the location or extent of the park. 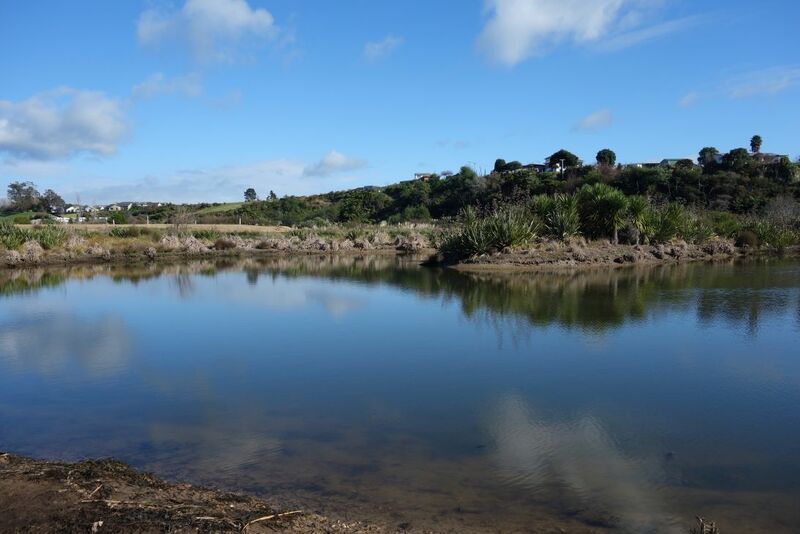 Information about the reserve can be found on the Tauranga council website in the downloadable Tauranga Walkways and Cycleways brochure. Walking all the tracks in the reserve requires some of them to be walked in both directions, resulting in a total distance of close to 9 kms. The parking area on Carmichael Road. 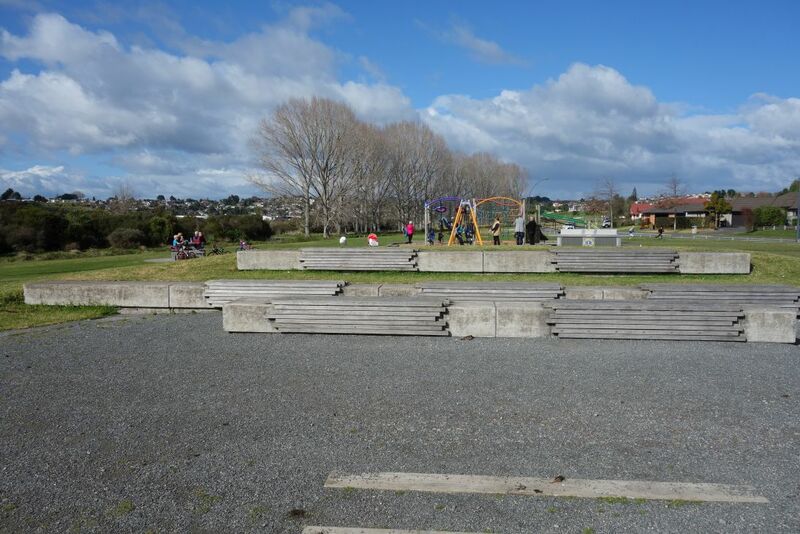 The outdoor classroom near the carpark, with the adjacent playground. 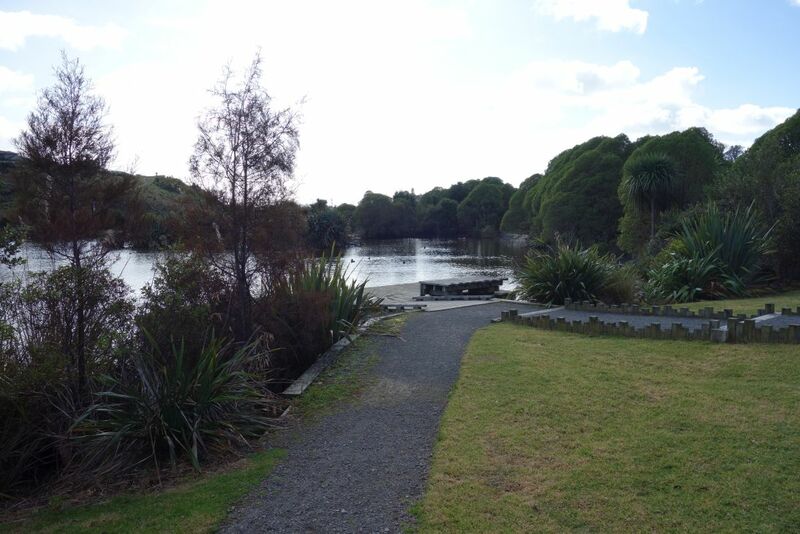 A viewing platform and seats near the outdoor classroom, at the pond nearest to the carpark. 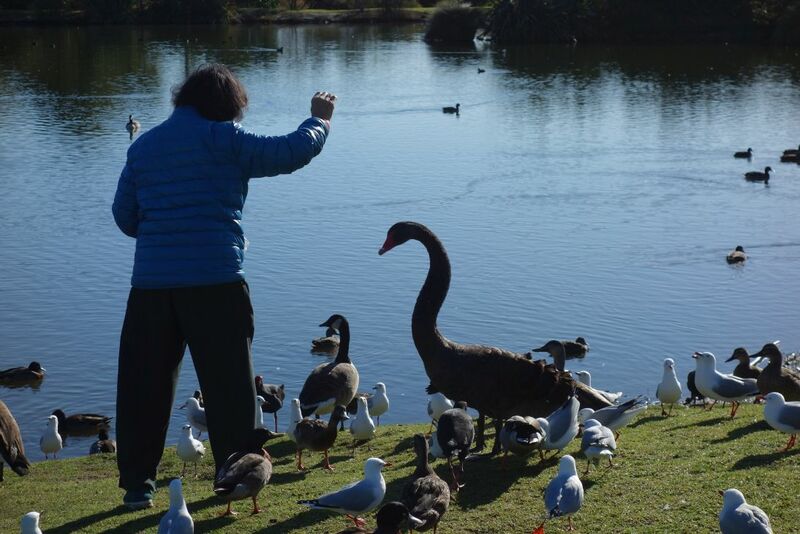 Feeding swans, geese, ducks, pukeko and seagulls at the pond near the carpark. 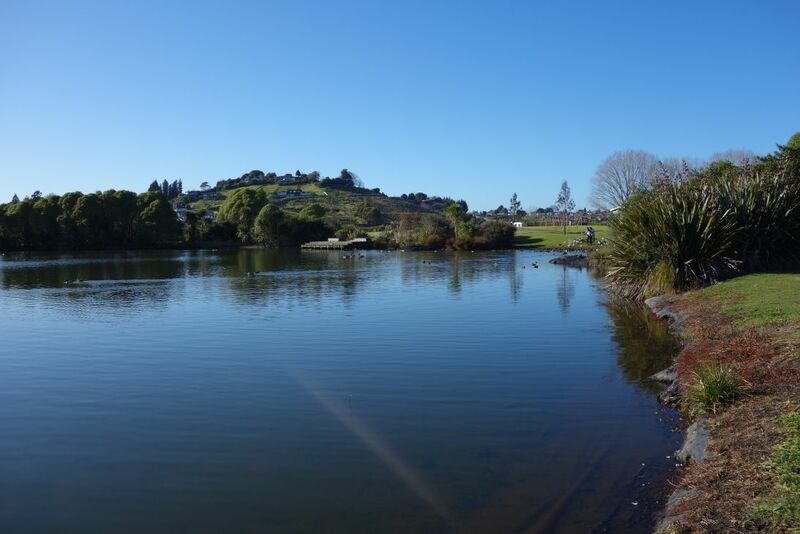 Looking across the pond near the carpark, with the outdoor classroom and playground on the far side. 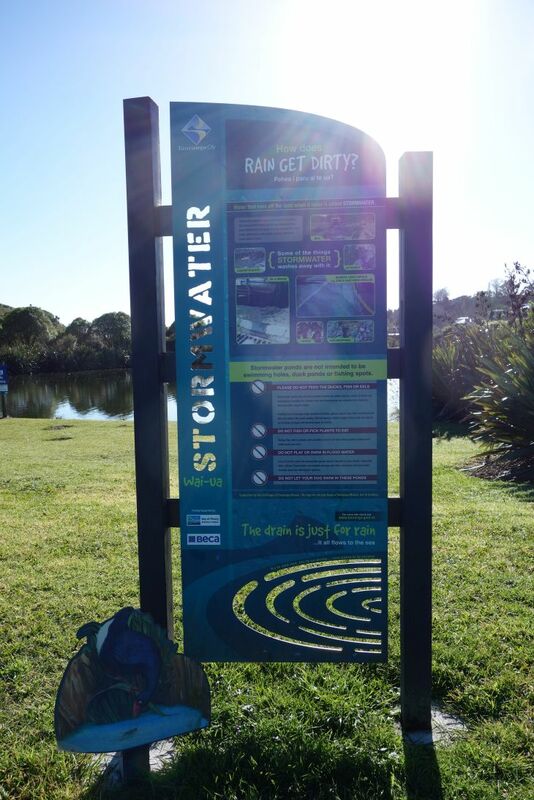 Information panels are located in various places around the reserve. 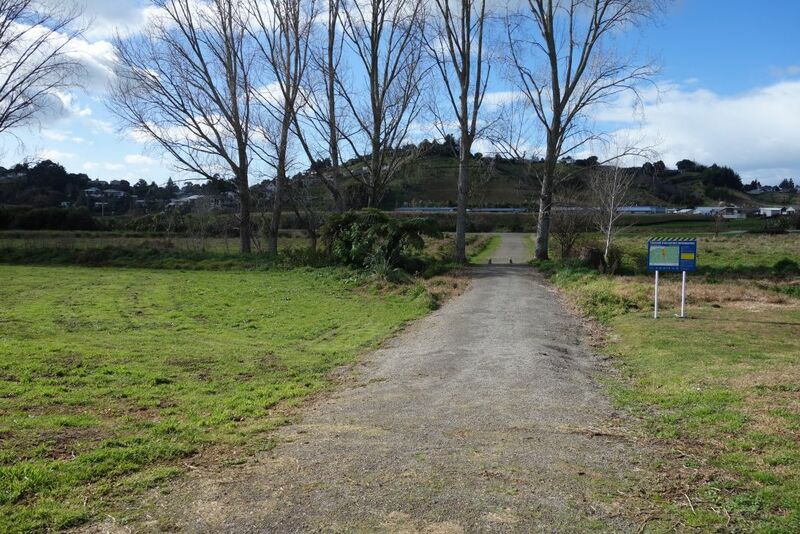 Across Carmichael Road, about 150 metres west of the carpark, a track leads through the reserve to Westmorland Rise. 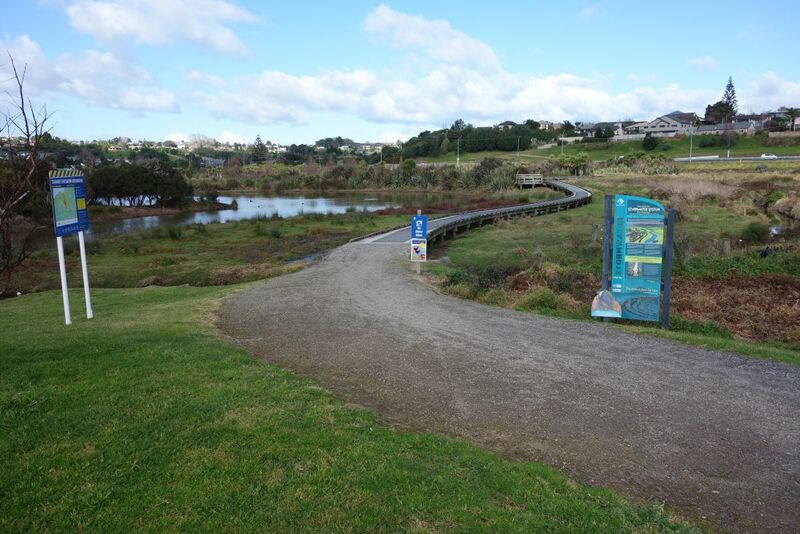 The track to Westmorland Rise runs alongside the wetland area, with areas of native plants. The Westmorland Rise end of the track, to the right of the bush at centre of photo. 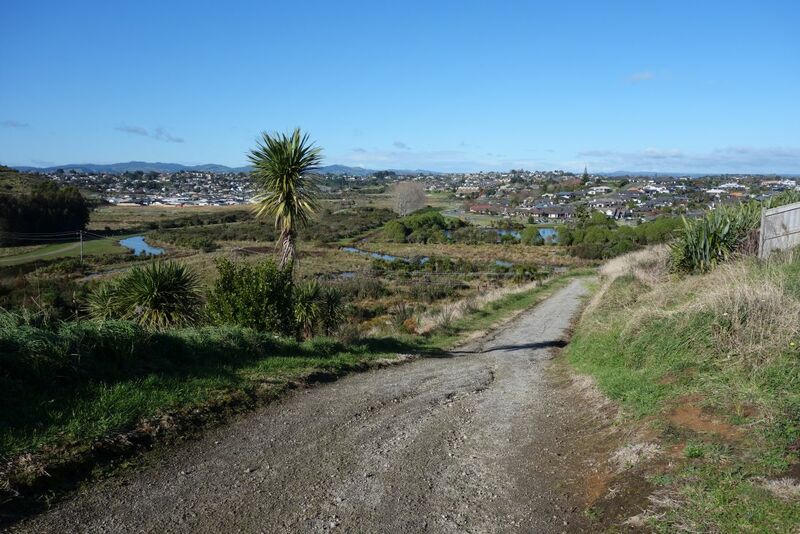 Back on Carmichael Road, looking up along the wetland towards Westmorland Rise. 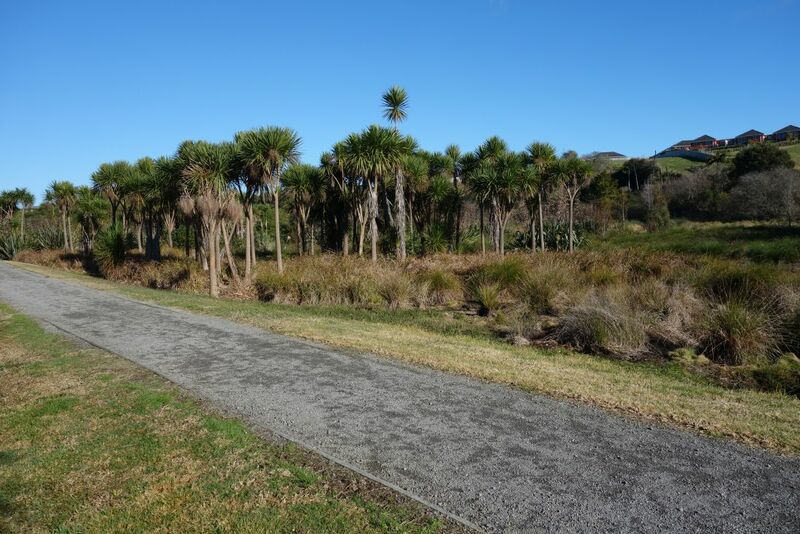 About 50 metres further west a walkway follows the western boundary of the reserve, heading north-east. 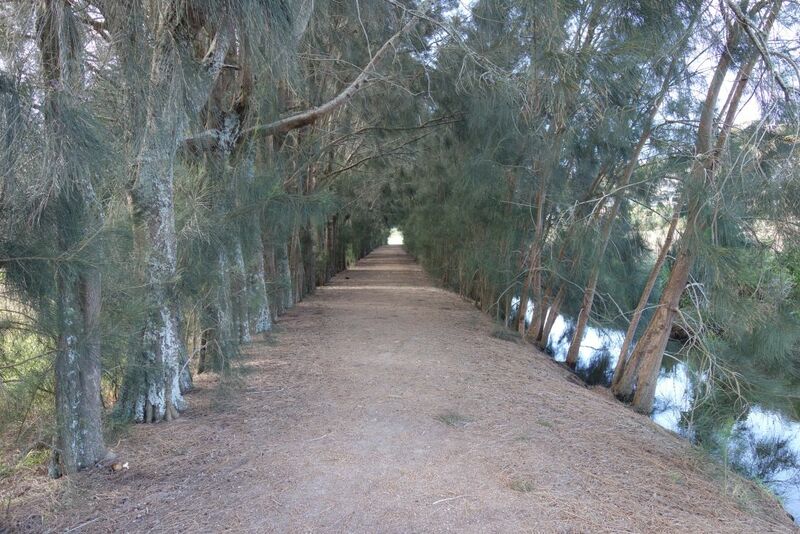 This walkway leads to the Balmedie Ridge and St Michaels Avenue access points. The track on the left heads up to Balmedie Ridge, with the one on the right heading to St Michaels Avenue and the link across to the walkways on the eastern side of the reserve. 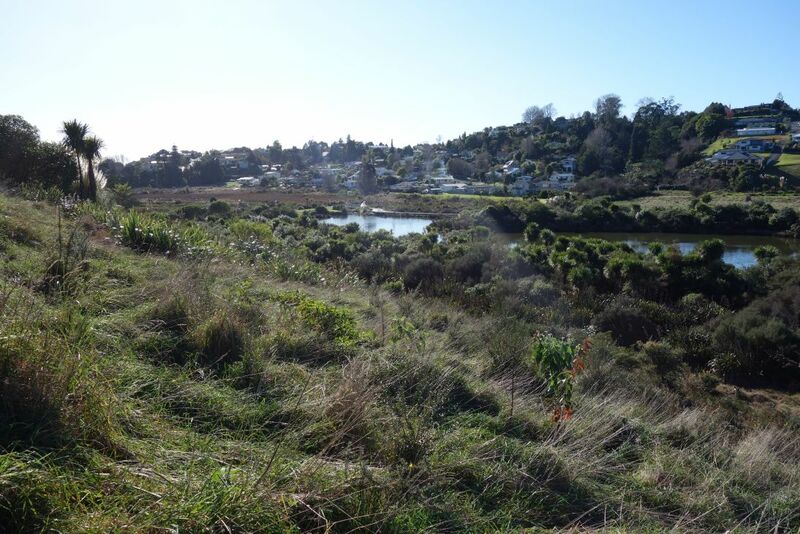 Looking south-east across the reserve from the walkway near Balmedie Ridge. Looking north-east across the reserve from the walkway near Balmedie Ridge. 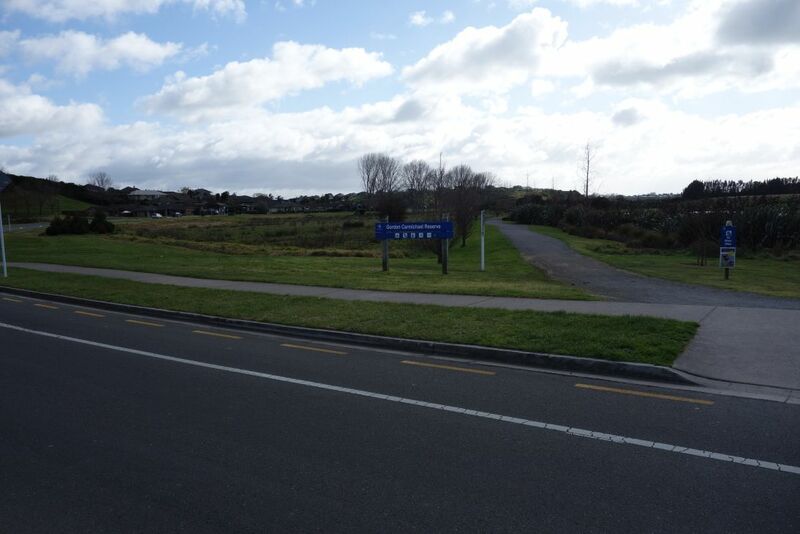 The track to the left leads to St Michaels Ave and the one to the right leads to the walkway on the eastern side of the reserve. 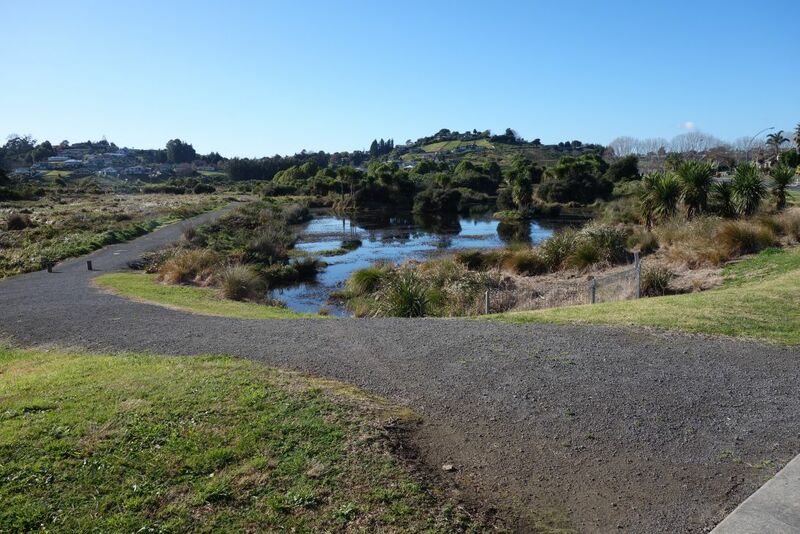 A short no-exit track near the St Michaels Ave entry point leads to some of the stormwater settling ponds. Looking back from the no-exit track to the houses at the northern ends of Balmedie Ridge and St Michaels Ave. The bridge and boardwalk lead back to the carpark and Carmichael Road. The track on the far left continues on to the Princess Road and Westwood Street access points. 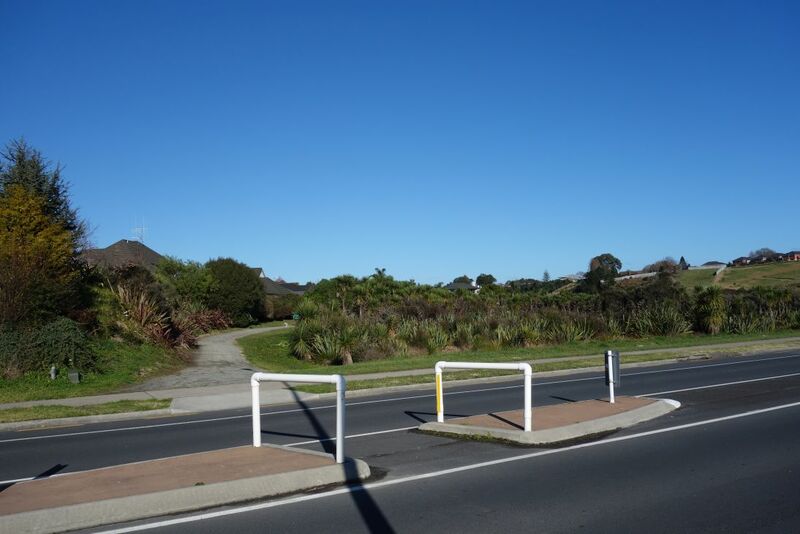 The access to Gordon Carmichael Reserve and York Park on Princess Street. 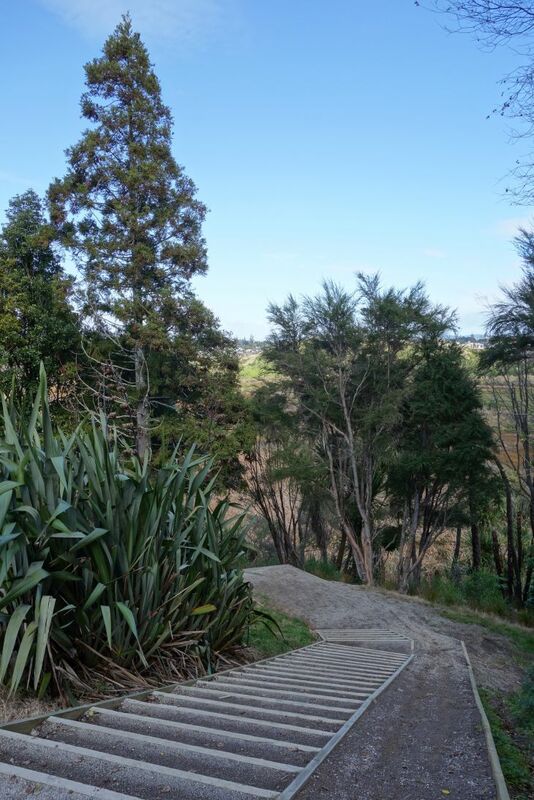 A couple of flights of steps lead down to the park and reserve. 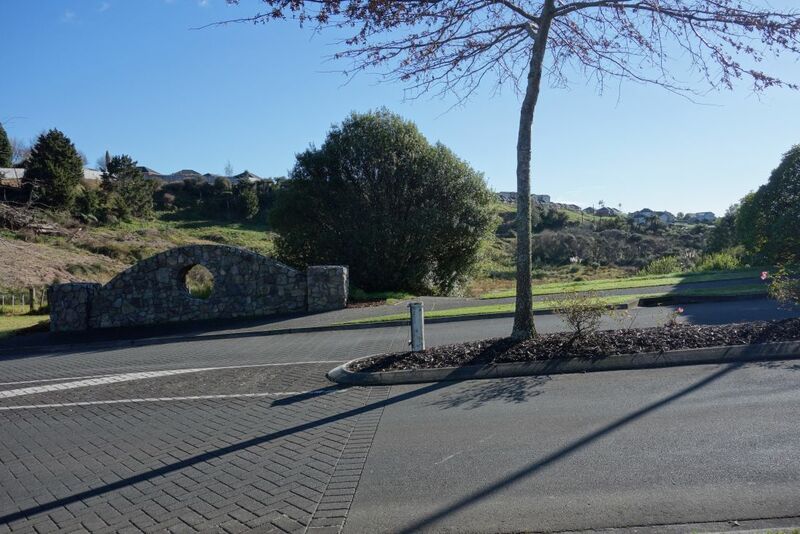 Back at the bridges and boardwalk leading back to the carpark, and access points on Sereno Vista and Graham Place. A side track between the two rows of trees leads to the Sereno Vista and Graham Place access points. 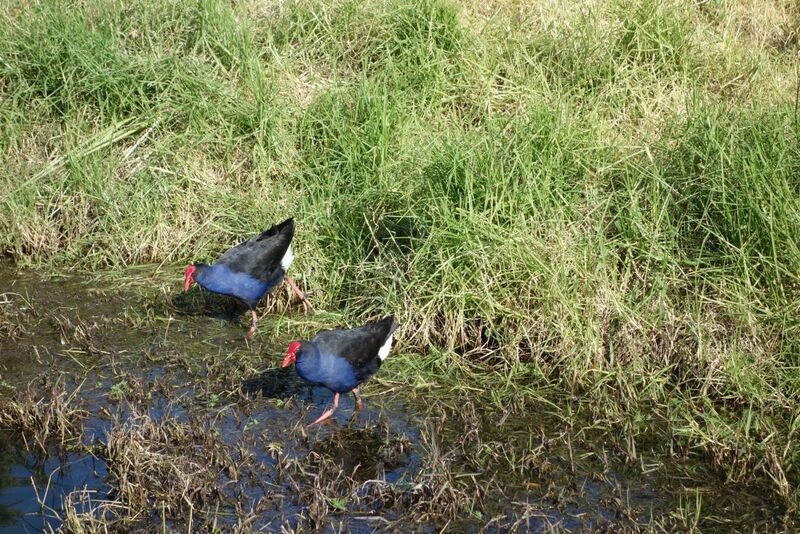 Pukeko and other waterfowl and wading birds can be seen in many places in the reserve. 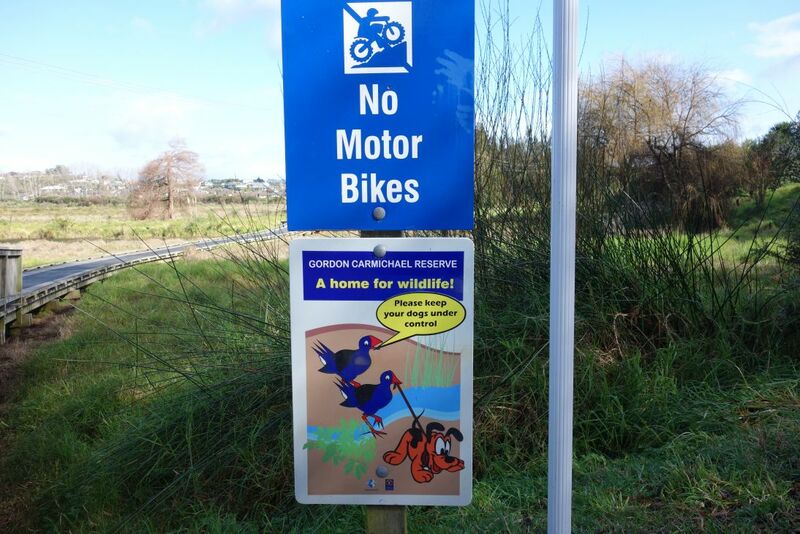 Pukeko are even requested to keep dogs under control. 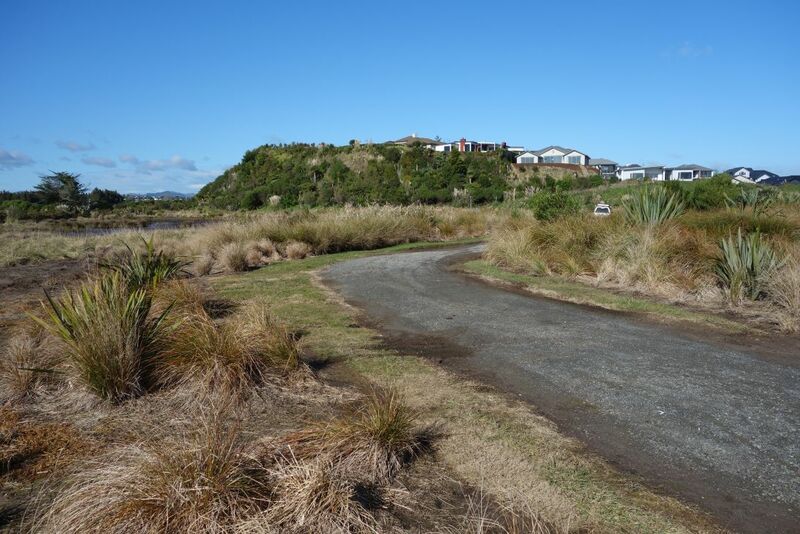 The reserve is a popular place for people to walk their dogs. A few parking spots are available by the reserve access point on Graham Place. The access point on Sereno Vista has a long flight of concrete steps leading to the reserve. 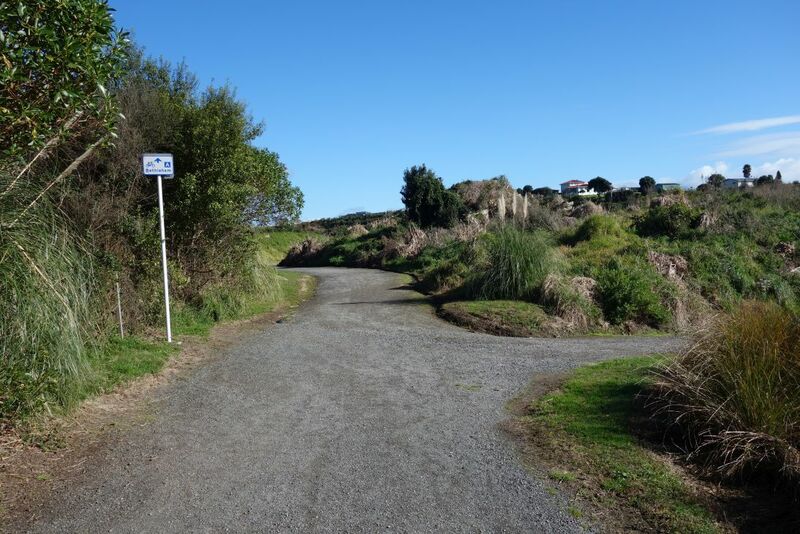 Nearing Carmichael Road the path to the left continues to access points further south on Carmichael Road, and onwards to Waihi Road. 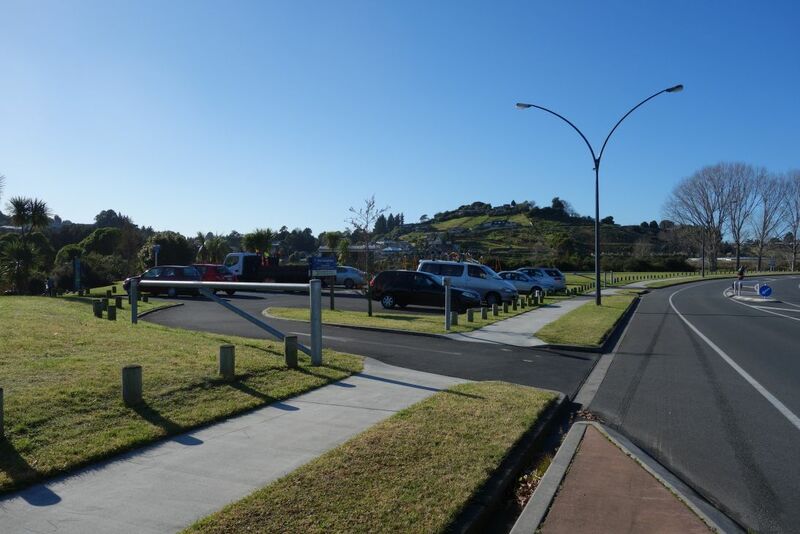 The path to the right continues to the parking area and playground by Carmichael Road. 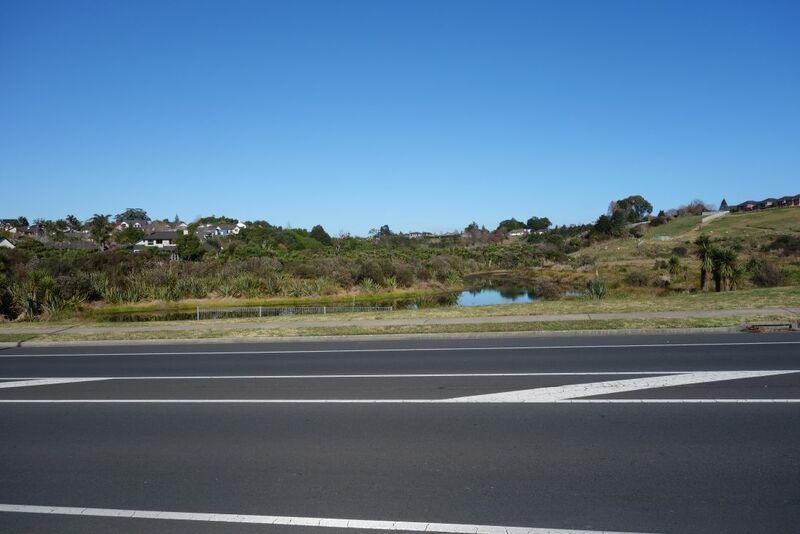 The southernmost access point to Gordon Carmichael Reserve from Carmichael Road. 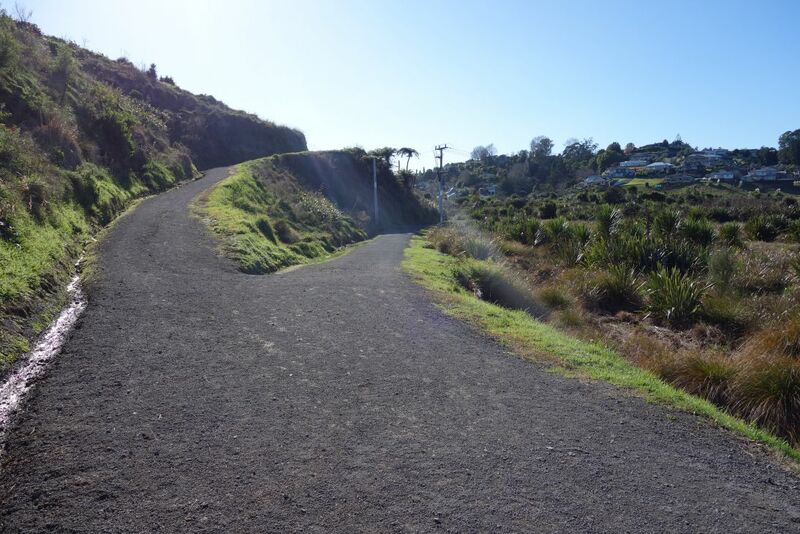 The continuation of the track towards Waihi Rd. There is also access to the reserve from Carmichael Road between Windover Rise and Mayfield Lane. 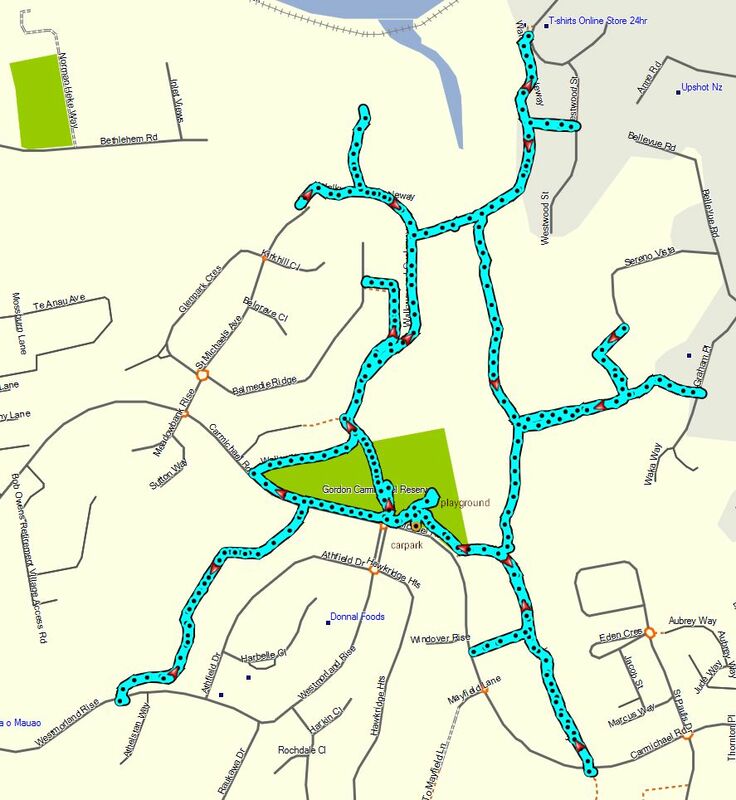 The GPS tracklog shows the paths walked and the various access points to the walkways. Total distance walked was almost 9 kms, and with a time of just over 2 hours, including plenty of time for taking photos. 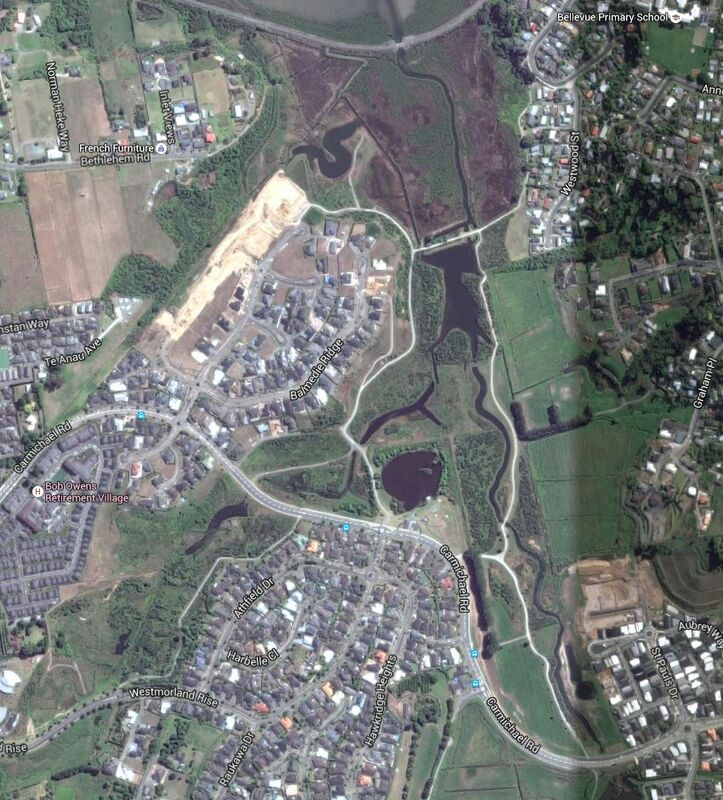 The satellite image, courtesy of Google Maps, shows the area covered by the reserve as well as some of the walkways. The tracks were walked on July 18, 2016. 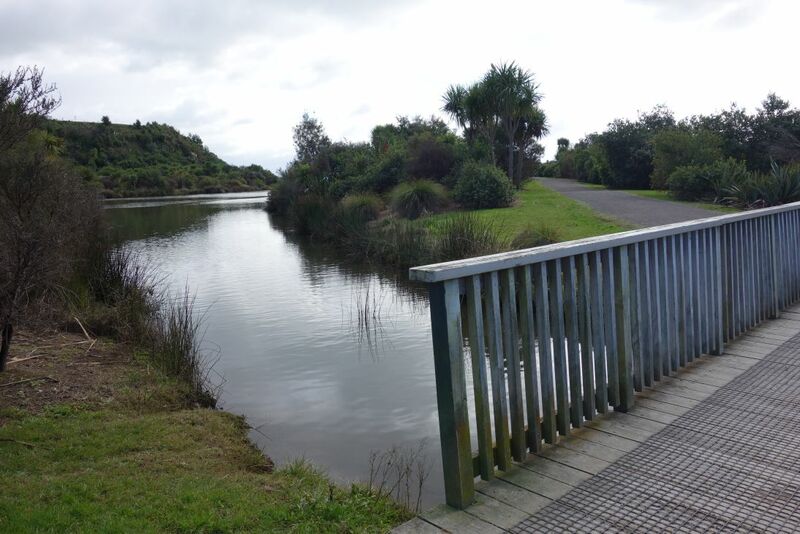 This entry was posted in Walks and tagged Bethlehem, Brookfield, Gordon Carmichael Reserve, Tauranga on 2016-07-19 by nzartig.